"Capt. Singh seeks a religious accommodation for his Sikh articles of faith so that he can continue serving on the same footing as all other soldiers," Harsimran Kaur, legal director of The Sikh Coalition, told NBC News. "Singling out a Sikh officer to submit to a battery of tests - that aren't given to the thousands of others soldiers with similar medical and religious accommodations - is discriminatory, un-American and unconstitutional." "Dream of the Red Chamber," a new opera written by Tony Award-winning playwright David Henry Hwang and MacArthur Fellow and composer Bright Sheng, saw its first American workshop performance earlier this month at the University of Michigan School of Music, Theatre, & Dance in Ann Arbor, Michigan, ahead of its scheduled September debut. "If anybody who comes up and says racist, ethnic, and religious slurs against anybody, and then threatens to kill them and their children, then takes out a gun to do it, if that's not a hate crime, I don't know what is,"
wow the lo mein loophole! "Like any Sikh man in my position, it was demoralizing and embarrassing, to be sent out after being forced to remove my turban," Singh, whose YouTube channel has nearly 700,000 subscribers and more than 99,000,000 views, said. "I've done YouTube videos where I have shown my hair and I have shown how to tie a turban, so I'm more comfortable in the public space, but if it was anyone else in my position — another Sikh man or maybe a woman in hijab — to force them to walk out to use a bathroom to tie their turban or hijab again, it's kind of ridiculous. Just bringing a mirror to the private screening room will allow them to put it on again, which is not that big of a hassle on their end." "During the martial-law era of Taiwan, their history and stories had been suppressed by the Nationalist government. And even after martial law was lifted in 1987, for so long, many more were even afraid to share their stories for fear of what might happen to them. It was this fear and anger, yet their hope for a better Taiwan, that many of my parents' generation worked hard, here in the US, to create networks and communities that embraced their unique Taiwanese identity." "We care about the tragic loss of Akai Gurley, and we care about the future of our children. We are here because we are afraid what happened to Akai Gurley and Peter Liang could happen to us and to our children." "We've been getting a lot of positive reactions, mostly from people who feel like they want to help refugees but don't really know how to," Manal Kahi told NBC News. "What's interesting is that people first come to us because they're intrigued by our mission, but they come back because they actually love the food - this is to say that the food prepared by our chefs is really outstanding, they are incredibly talented and they bring in great recipes." Current racial tensions and challenges facing American Muslims, immigrants, and other minority communities across America remind us that we have not overcome the past. On this day, we are called not only to remember, but also to recommit to our collective responsibility to ensure that the lessons of history prevail over a repeat of history. "Filipino food has such a strong home-cooked culture so we're not trying to do homestyle food," Hernandez told NBC News. "For us, our vision is using local, seasonal ingredients, and putting our own spin on Filipino food. When you're trying to do something new to something so beloved, the reaction will be mixed, but for the most part, people are excited to try our reinterpretation of traditional dishes." "The Aloha shirt is the embodiment of Hawaii's melting pot culture," Takai told NBC News. "The clothing was originally sewn by a Chinese-American man using Hawaiian quilt patterns and sold out of his family's small dry goods shop. To me and many residents of our state, the growth in popularity of the Aloha shirt truly represents the American Dream." "His greatest accomplishment was to bring medicine, culture and heritage and relate it to modern politics," Kamanaʻopono Crabbe, CEO of the Office of Hawaiian Affairs, said in a statement. "He understood that one cannot exist without the other and good governance was necessary to promote good health and medicine. That is why he was such a staunch supporter of sovereignty for the Hawaiian people - to bring the best governance practices to improve the health of Hawaiians and all the people of Hawai'i. The lāhui has lost a dear patriot." U.S. Rep. Mark Takai (D-HI) has been cleared by his doctor to run for re-election after being diagnosed with pancreatic cancer last October, according to Civil Beat, a Honolulu-based political news website. He is expected to formally launch his re-election campaign this month. Although I am not an immigrant, I am also far from home, away from family. 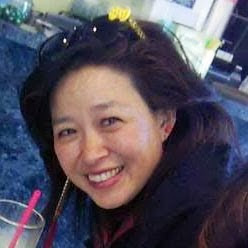 I am privileged to speak English fluently and to not experience the overt racism of a century ago, but I still need to create community around my children, so grateful for the other "Chinese school moms" that help watch out for my children (and help feed my children), as we continue to navigate our lives together. Learn to write essays that can win you money for college, and much more. Join college instructor Frances Kai-Hwa Wang as she leads a workshop that will help you take your essay writing skills into the next level, so come prepared to write. Please bring a notebook and pen. Put flour in food processor (or a large bowl), add water slowly and mix/knead until a nice dough forms. Knead again on a floured cutting board. Cover with a damp cloth and let dough rest 1 hour while you make the filling. Shape the dough into a long cylinder about one inch in diameter, and cut the cylinder into ½ inch pieces. Roll each wad of dough into a ball just smaller than a walnut. Flatten each ball slightly with your palm, and dust with flour. It is important that they are all exactly the same size and shape. Then, on a floured cutting board, use a Chinese rolling pin (basically a one inch dowel) to roll from the outside of the flattened ball towards the center, then turn the ball a little, and repeat—roll, turn, roll, turn, roll, turn—until you get a relatively round, flat wrapper, about three inches in diameter. Ideally it should have a slight “pillow” in the center. First tip: When you buy rolling pins at your local Chinese market (or lumber yard), buy three or four so that more than one person can roll the wrappers at a time while the rest of the people fill them. This is especially important if you are just learning how to make them. They should cost $1 to $3 each. Second tip: You could forget about making the wrappers and just buy them already made. You can buy a package of 45 for about $1 at your local Chinese market. They are machine made, so they are not as thick or as good as homemade, but are a million times easier. They will be called either dumpling or potsticker wrappers (jiao tze pi or guo tie pi). The wrappers intended for potstickers will be slightly thicker than the ones for dumplings. Buy the thicker ones if you can for a dumpling with more bite. The wrappers must be round. Won ton wrappers and egg roll wrappers are square and will not work. To make the dumpling, put one wrapper in the palm of your left hand and put a tablespoon of filling in the middle. The beginner’s way to seal the dumpling is to then fold the wrapper in half and press the edges together so that the dumpling assumes a half-circle shape. If you are using store-bought wrappers, dip your finger in some water, then run it along the outer edge of the wrapper before sealing. Another way to seal the dumpling is to fold the dumpling in half and make one pinch in the center of the half circle. Then pinch together the right corner, then pinch together the dough between the corner and the middle. Repeat on the other side. Seal whatever gaps remain. The dumpling will sit up in a slightly curved shape. There are many ways to crimp dumplings, but somebody may have to show you how, because it is too hard to explain with words. The key is to seal each dumpling tightly, without any meat or vegetables hanging out of the seam or else it will fall apart during cooking. Using less filling will help, although you want them to be as fat as possible. Bring a large pot of water to a boil. Put in 25-30 dumplings, and stir. Wait for the pot to come back up to a hard boil, then douse it with one cup of water. Wait for the pot to come back up to a boil, then douse it again. Repeat one more time (you bring the dumplings up to a boil a total of three times). They will float when done. Taste one to make sure. Do not overcook or the dumplings will fall apart. Lift out the dumplings with a bamboo strainer and put them on several large dinner plates to serve family style. Sometimes restaurants will mix the dipping sauce for you in the kitchen, but it is better if you mix it yourself to fit your own tastes. My father, for instance, prefers more vinegar; my mother prefers more soy sauce; I like a touch of sesame oil; my Aunt Suzie uses Worchester sauce. We keep soy sauce and vinegar in a set of pretty oil and vinegar bottles to bring to the table just for when we eat dumplings. Start by pouring equal portions, about a tablespoon each, of soy sauce and vinegar into your rice bowl, then add Chinese hot sauce to taste and maybe one drop of sesame oil. I like to use balsamic vinegar because it is spicier, but most people use rice wine vinegar or apple cider vinegar. Also, I think Yank Sing Chili Pepper Sauce is best, but any black bean hot sauce will work. In Shandong province where my other grandparents are from, dumplings are served with a raw clove of garlic, and you are supposed to take one bite of the garlic then one bite of your dumpling. That’s hot! For special occasions, you can also add garlic and ginger and cilantro to the dip, but I find them unnecessary if you have a good hot sauce. A good vegetarian dumpling is very hard to find, which is why I always make them from scratch. The filling should have the texture and bite of a meat dumpling to be really satisfying, and you need more than cabbage for it to taste good. If you substitute other vegetables, use your eye to see that amounts and colors are balanced. Mince ingredients one at a time in a food processor, then transfer to a big bowl. If you do not have a food processor, then you will have a lot of chopping to do. Try to get all the pieces about the same size so they can bind together more easily. Cook them very gently as they break apart much more easily than meat dumplings. First soak 6-8 black mushrooms and 1 small package of bean thread vermicelli (1.31 oz.) together in boiling water for 30 minutes. If there is excess water in the bottom of the bowl, tilt the bowl to drain the water away from the filling. As the dumplings begin to cool, they will stick to the plate and get soggy underneath. Pick up any leftover dumplings with your chopsticks and turn them over so that their undersides can air dry. Make sure they are not touching each other or they will stick. Before you go to bed, cover the plate with plastic wrap, and in the morning you can pan fry them in oil for breakfast. My favorite. Boiled dumplings, potstickers, and steamed dumplings are basically the same thing, cooked in different ways. Potstickers technically should have slightly thicker skins and can be longer, and steamed dumplings can also be round. To cook potstickers, put 2 Tbl oil in a flat frying pan. Arrange the dumplings neatly around the pan like the petals of a flower, and fry for one minute over medium heat until the bottoms are browned. Then add one cup of water, covering almost ¾ of the dumplings. Cover tightly and cook over medium heat until the water is almost all gone. Uncover and move the dumplings around a little. Turn up the heat a bit and let the rest of the water evaporate. Pour in a dash of vinegar. Cover the pan with a plate and flip the dumplings upside down onto the plate so that their golden brown bottoms are facing up, and serve. You should be able to fit about 18 in your frying pan at one time. To steam dumplings, put them in a lined bamboo steamer, cover, and steam over boiling water until done. Steaming is a good way to go for vegetarian dumplings because they are more delicate and break apart more easily when cooking. You can buy two tiered bamboo steamers at your local Chinese market, kitchen store, or for $10 at Target. "This coalition letter demonstrates the powerful commitment of diverse communities and organizations in standing together in the face of prejudice and bigotry," Gurjot Kaur, The Sikh Coalition senior staff attorney told NBC News, "Americans will continue to ignore the issues of bigotry and backlash if law enforcement ignore them as well. We commend each of these organizations for their solidarity as we pursue hate crime charges in Mr. Singh's case." "Hate comes in many forms," Arjun Singh, law and policy director of The Sikh Coalition, told NBC News. "This new tool will allow us to capture the many ways in which Sikh Americans are being targeted, whether legally actionable or not." What if South Asian American parents wrote the messages on those little Valentine's candy hearts? Soni Satpathy-Singh of Sketchy Desi thinks she knows: "Study, Beti," "Bcome Dr.," "Mary Indn Dr.," "Call Us Daily." "The Supreme Court has an opportunity now to turn the page on the controversial Insular Cases, which were decided by the same Supreme Court that decided Plessy v. Ferguson and have been criticized for establishing a doctrine of 'separate and unequal' in U.S. territories," Weare said. "But more than just a critique of 'Butterfly,' I also see it as a reinterpretation of the 'Butterfly' universe, an opportunity to enter into a dialog with the past and redefine our ideas of Asia and Asian-ness."